American Safety Options, Inc. is a home care service provider in the Philadelphia area. 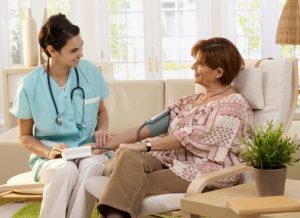 We base our home care services on the belief that great care can happen in the comfort of your own home, and doesn’t have to come from a hospital or nursing home facility. We’re an independent home health care service located in Delaware County, PA, providing both skilled and non-skilled services to patients of all ages without the need of a stay in a medical facility. If you or a loved one are in need of some extra home care services to make your time at home safer and more comfortable, we can help. We have a staff of home health care professionals including caregivers, home health aides, and nurses. We’re insured, bonded and covered by worker’s compensation to protect both our patients and our team. We make sure that the caregivers that you encounter get the top training required by state and federal regulations so you are getting the highest level of home care. These personal care services can help you age in place in the comfort of your own home. If you or a loved one are in need of some extra care at home so there is no need for a nursing home or other outside facility, we can help. Just get in touch with our team today to learn more about how we can help and how to get started.